How many times have you heard the adage stating that a man’s home is his castle? 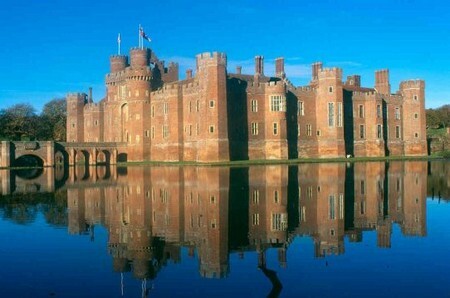 It may be a tired old cliché, but as long as you have the money and means, you can actually make a castle your home! It can be very intimidating when you’re thinking of how to build a castle, so you should focus on each detail or item as it comes. First of all, you will need to have a large enough piece of land on which to build your castle. Sensibility dictates you look at land above sea level. Flat terrain would ease the job of construction too. A majestic structure like a castle demands equally impressive surroundings, so consider mountain ranges, lakefronts or seascapes. However, you shouldn’t have to sacrifice modern conveniences and amenities to achieve this dream, make sure you don’t set up house too far away from civilization. In addition to the perfect location, you must also determine if local law actually allows for castle construction and all the legal requirements you must meet in order to avoid disappointment. 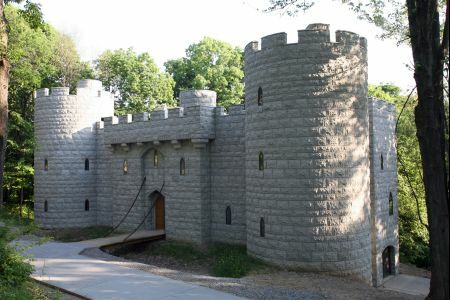 Once you have the location identified and legalities sorted out, you can continue to what some might consider the best aspect in planning how to build a castle – the design. Of course, you could already have obtained construction plans before you obtain land and building permission. Due to the scale of the project, it’s best to involve an architect and construction firm. The blueprint must be extremely detailed. Every measurement must be included, such as the size of the building stones, the higher of the doorways as well as the parameter for the courtyard. Leave nothing to chance. One of the most unmistakable aspects of a castle is the moat. This area must first be excavated before being lined with cement. As invasion by rampant barbarian hordes is unlikely, leave the man-eating crocodiles out and fill it with fish instead. Don’t forget to provide an embankment to stop careless people from falling in. Once the moat is completed, you can excavate and lay the foundation for the castle. You may leave the courtyard bare if you favour the rustic look. The cement must be completely dry before you start building the walls of your castle. The larger the stones used, the stronger your walls will be. However, mistakes will also be difficult to rectify. So, ensure each building block has been precisely cut beforehand. Portals to the outer world, i.e. windows and doors, must be put in while the walls are built. Use wooden beams to add support to the strong stone blocks. What is a castle without plumbing and electricity? These plans should be included in the original blueprint so that your highly skilled electricians and plumbers are able to install them without great trouble. Don’t forget to hold a housewarming party once your castle is completed!